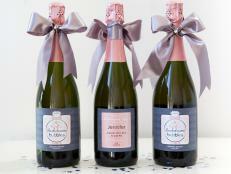 Throwing a wedding shower? 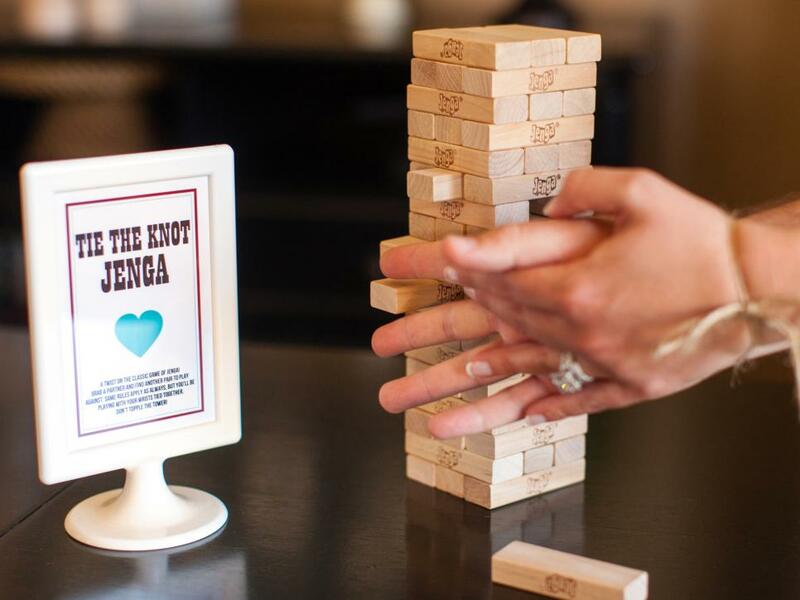 Make it fun and memorable with these interactive games. We've included printable game cards and instructions to make it easy. Take this classic game to the next level by having guests pair up and play against another couple. The twist: Tie the couples' hands together to make it harder to play. The couple that wins continues on to play the next couple. Last couple standing wins. Download signs for each of these games. 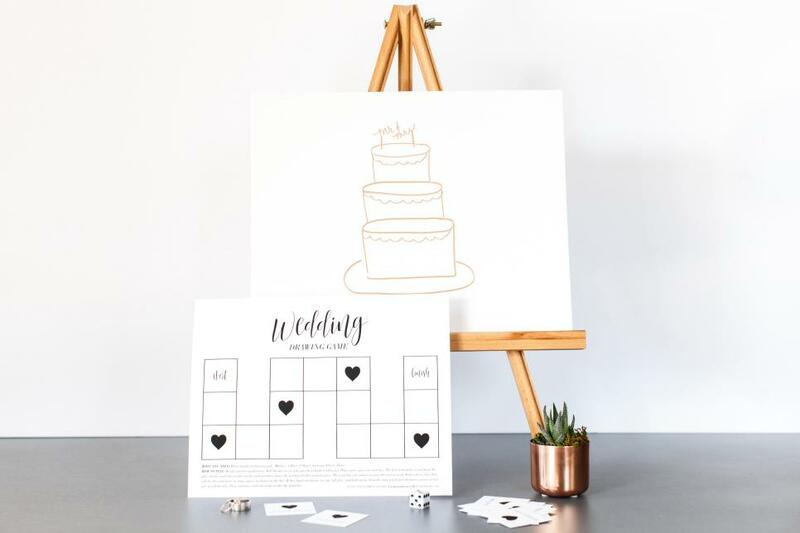 Guests will love this fun wedding shower game that features favorite photos of the bride and groom! Print images of the bride and groom at various ages. Download and print our game setup pages, along with a guessing sheet for each guest. 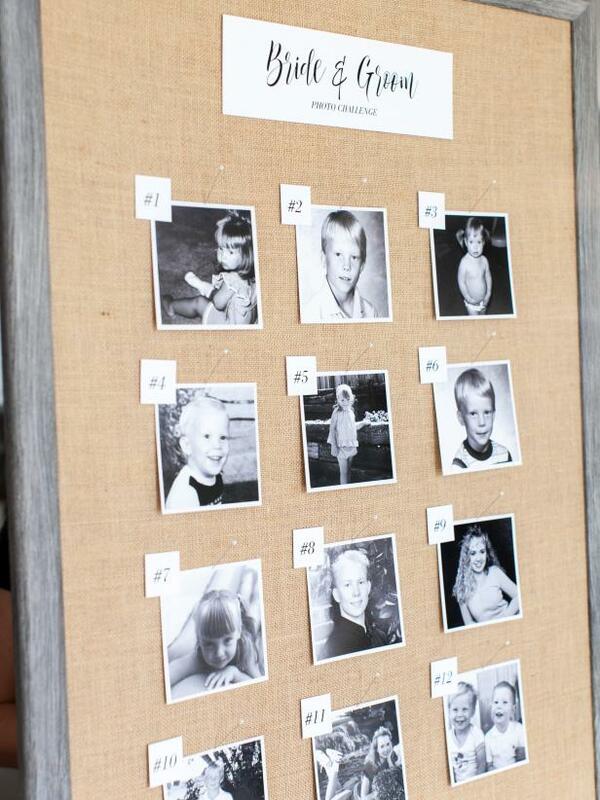 Attach the game tile, and each photo along with a number on a bulletin board or poster board. Hand out a guessing sheet and pen/pencil to each guest and have them guess the age of the bride or groom in the photo! Whomever guesses the most correct, wins. Download and print blank bingo cards for each guest. 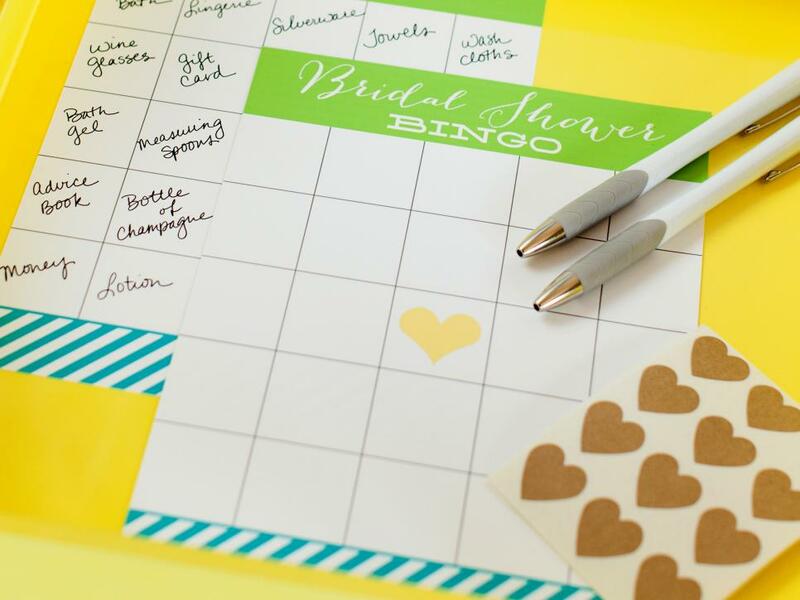 Have the guests fill in the blank squares with wedding gifts they think the bride will receive. During gift opening, guests mark off their bingo card as gifts are opened. The center square with the heart is a free space. 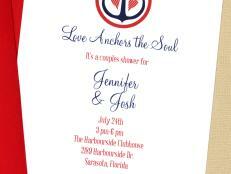 Give guests a small sheet of heart stickers or a pen to mark off the squares. The first guest with five in a row wins. Take the party outside with this classic yard game. This darling version of ring toss features pretty glass bottles and metal rings (found at the craft store and painted copper) in a cute wood crate. Find an opponent and take turns tossing all of the rings to see who can land the most on the bottles. Print our ring toss scorecards to keep track. 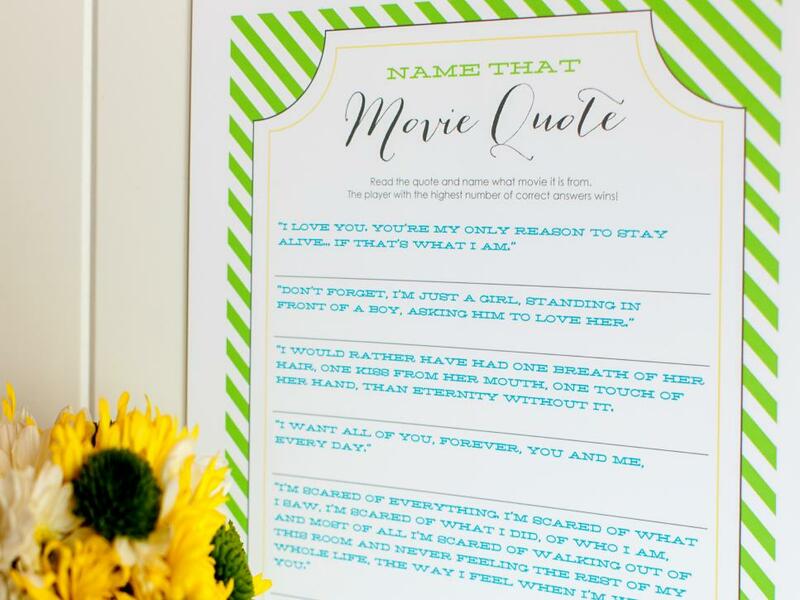 Download and print the game worksheet which features quotes from popular romantic movies. Give a form to each guest along with a pen and have them fill out as many as movie titles as they recognize. The highest number of correct answers wins. Name that tune! Well actually, name who sang it. 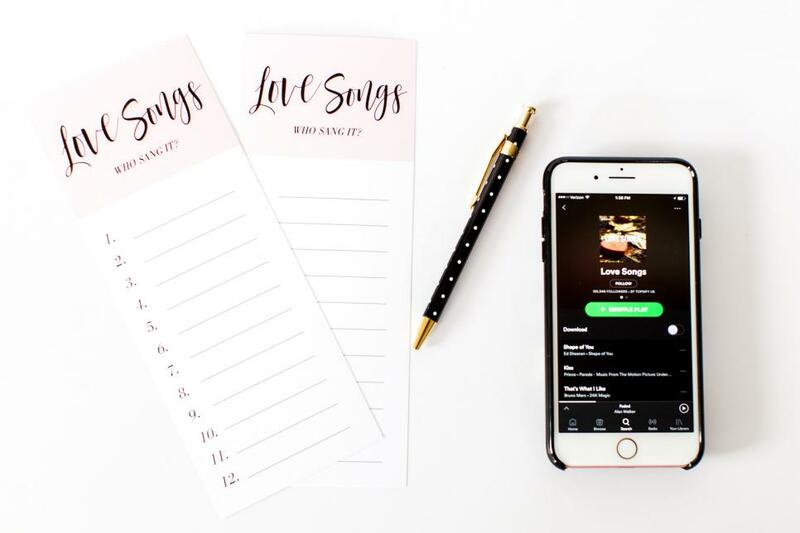 Have the hostess create a playlist of 12 love songs before the shower begins. Hand out a game page and pen/pencil to each guest. The hostess then plays a snippet of each song and the guests guess who sang it! The guest with the most correct answers, wins. The old ball and chain: Teams pair up and try to get foam balls and chains from one bucket to another. The hitch is that you can only use your knees to transport the balls. 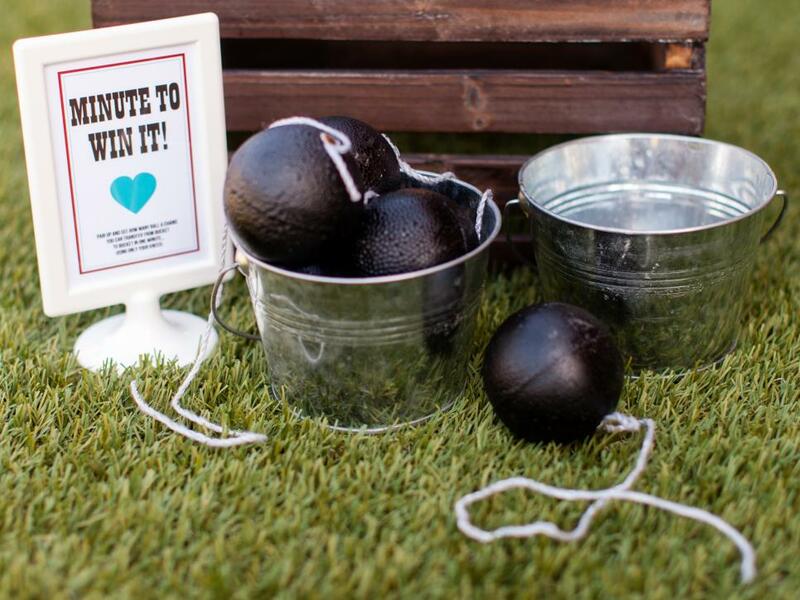 The couple with the most balls in the bucket at the end of a minute wins. 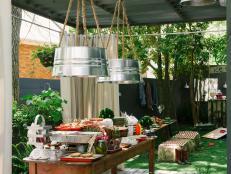 Use spray-painted foam balls and string to create the balls and chains. 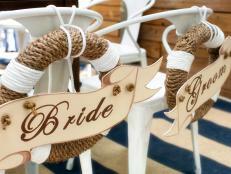 Challenge the wedding shower guests to see who knows the bride and groom best! 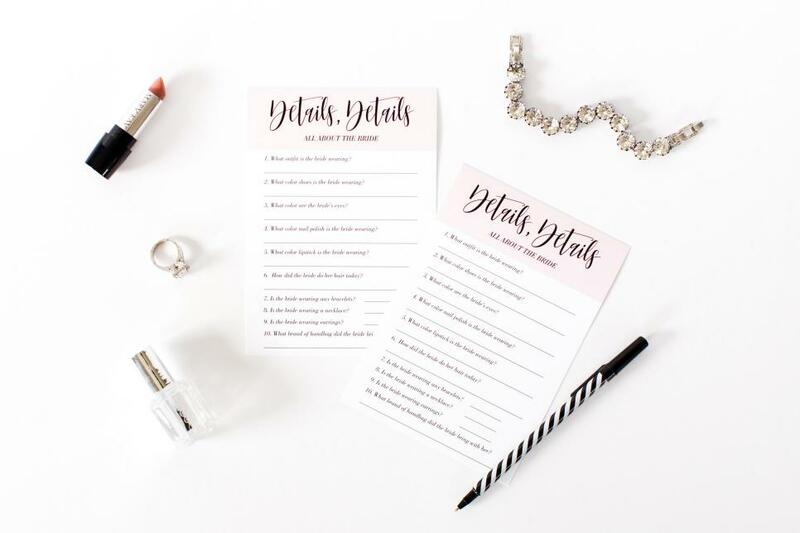 This game simply requires a printable trivia page and pen/pencil for each guest. Download and print/copy as many pages as you need. 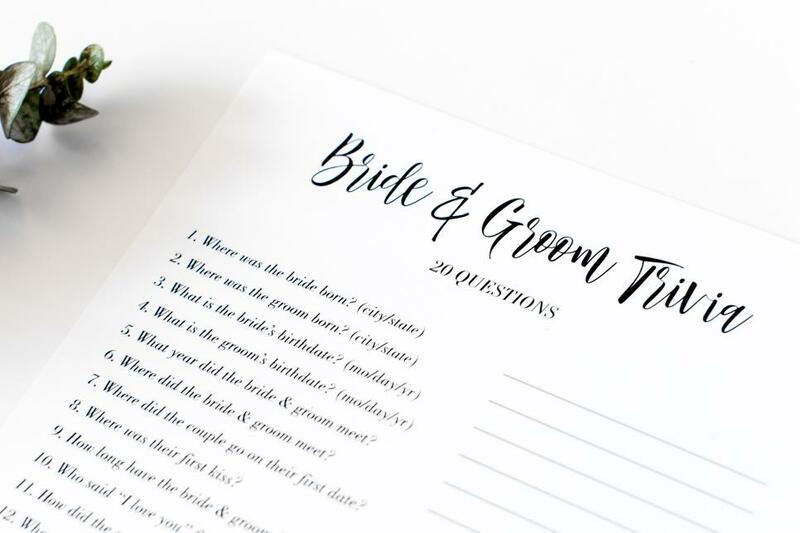 Have the bride and groom fill one out with the correct answers so the host can use as a guide to see who answered the most correctly. Download and print the list of celebrity couples. 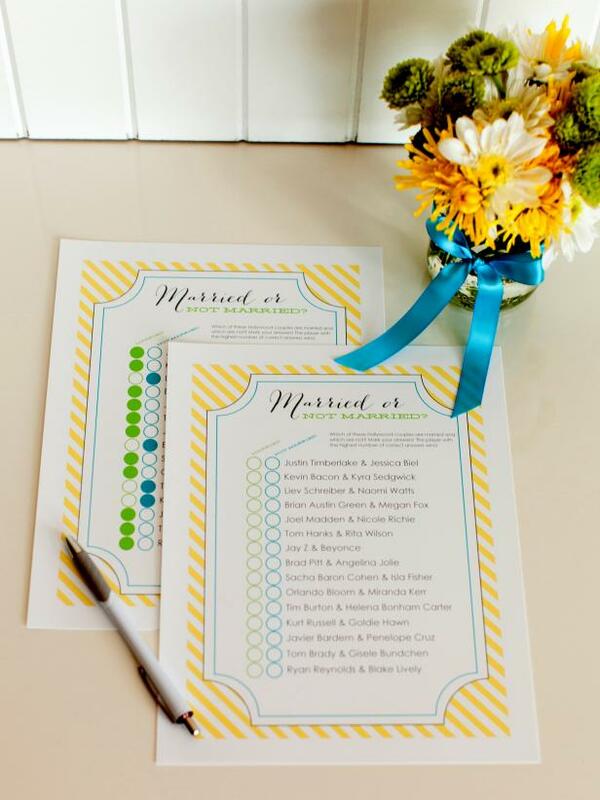 Give each guest one of the lists and a pen and ask them to guess if the couple is married or not married. The guest who gets the most correct answers wins. 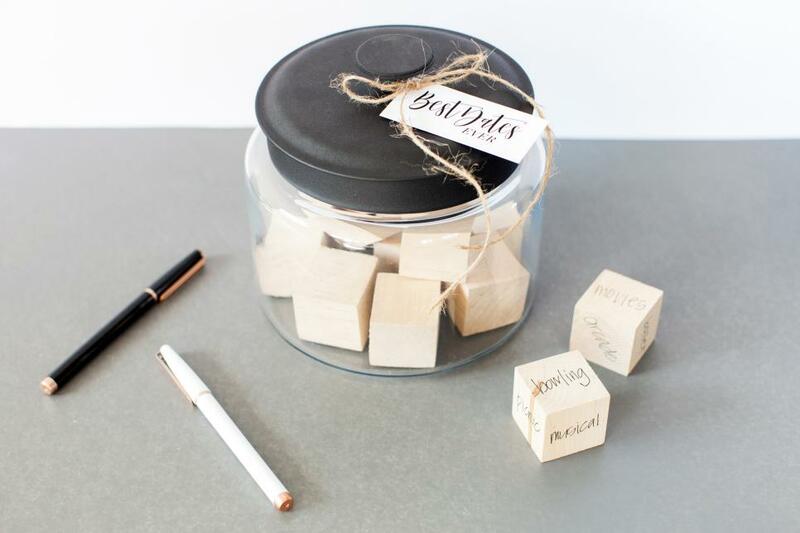 For this unique shower activity, have each guest write their favorite ideas for fun dates on wood blocks and place them in a pretty jar. 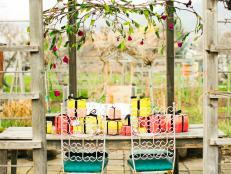 Give the jar to the bride and groom at the end of the shower as a sweet gift. When the happy couple needs and idea for a date, they can randomly choose a new adventure. 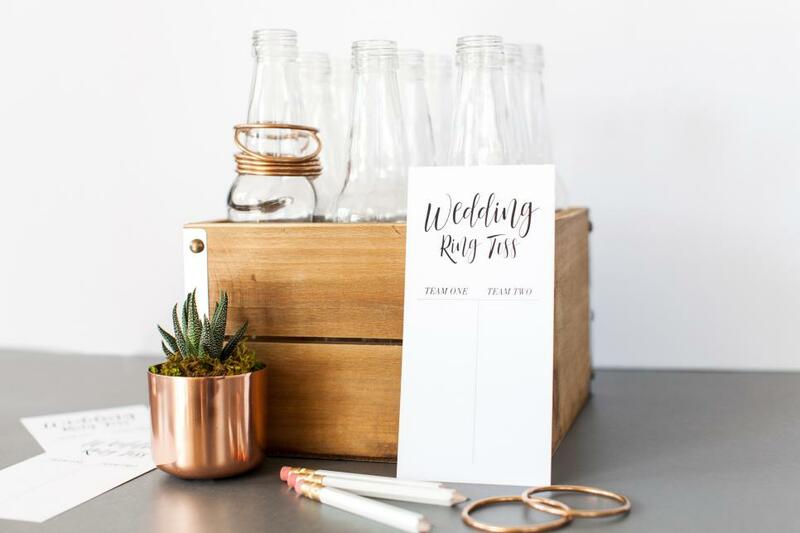 Guests will need to think quickly on their feet as they try to get through as many wedding words as possible before time runs out. The team with the most words at the end of two minutes wins. 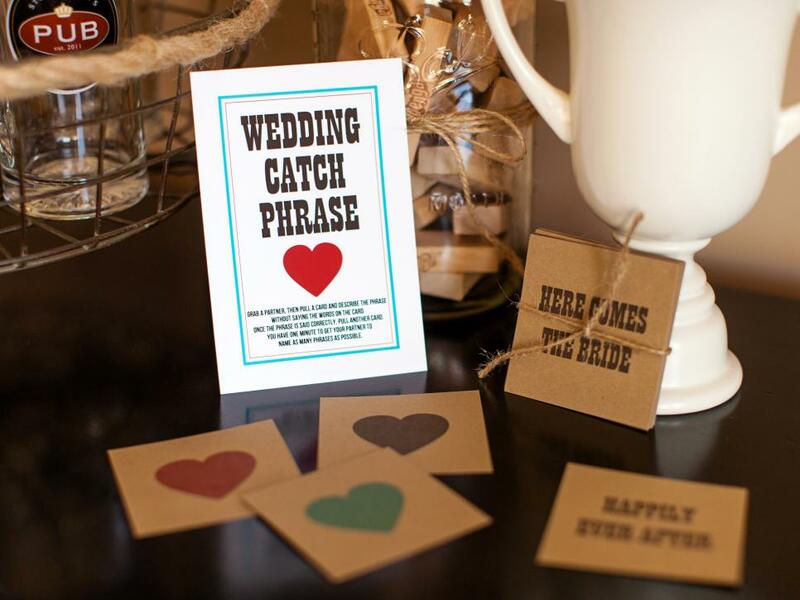 Before the shower, download, print and cut out the wedding catch-phrase cards. 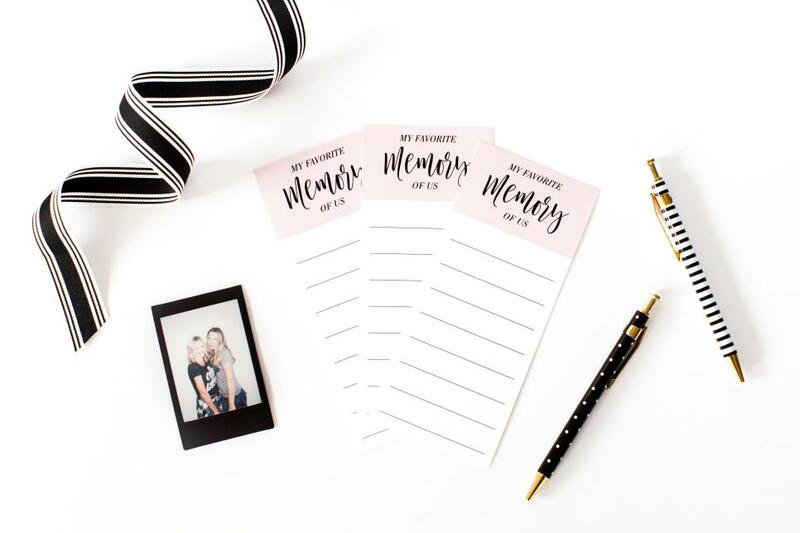 For a trip down memory lane, have each bridal shower guest fill out one of the printable memory cards with a favorite memory with the bride. Have the bride read each memory one by one out loud to see if she can guess who wrote the memory. While there isn’t an actual winner in this game, everyone will enjoy hearing these special stories. 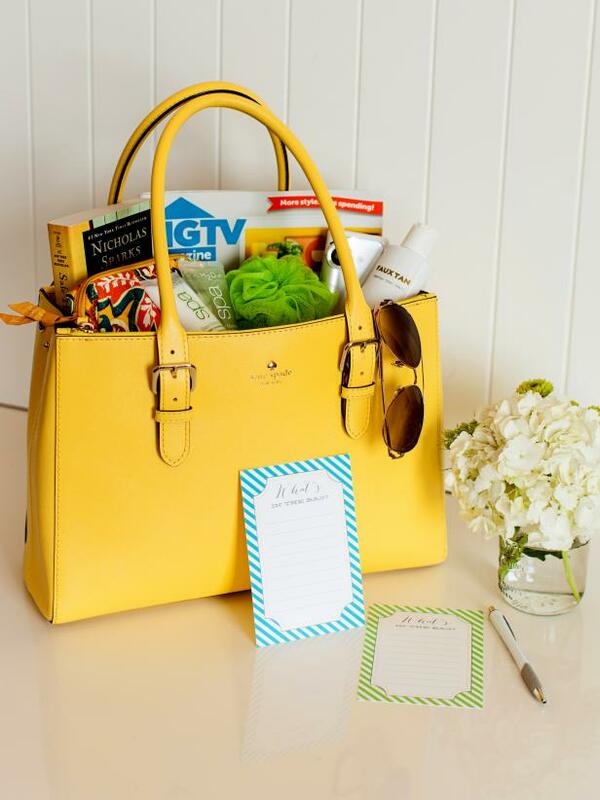 Fill a purse or tote bag with items that the bride might pack for her honeymoon (15 to 20 items). Download and print the "What's in the Bag" game cards for each guest. 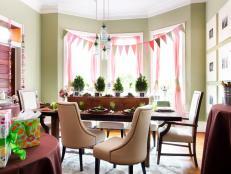 Have the hostess take out each item one at a time from the bag to show the guests. Once all items have been shown, quickly hand out a card and pen to each person and give them one minute to write down as many items as they remember. The guest with the most correct answers wins. Present the filled bag as a gift to the bride-to-be. A twist on the classic game of Pictionary. 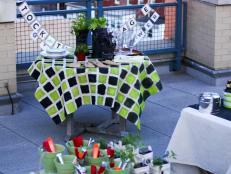 You just need our printable designs, along with a few basic supplies to get this fun game setup! Start by downloading and printing the gameboard and word cards. Then you’ll need either whiteboards or poster boards with an easel, markers and a dice. Follow instructions on the gameboard to get this game going and enjoy hours of fun. Download the editable game card for this fun game. Have the host of the shower interview the bride and groom in advance. 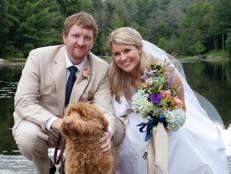 Ask the happy couple to answer a series of questions to help generate the quotes for the list. 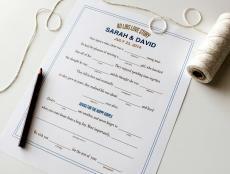 Once your document is created, print a copy for each guest. Set up a station for guests to fill in their guesses of who said what. At the end of the shower, tally up the answers and see who has the highest amount of correct answers. 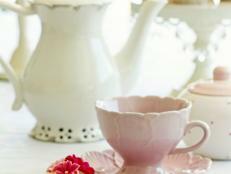 It’s time to see if the bridal shower guests were paying attention to details! 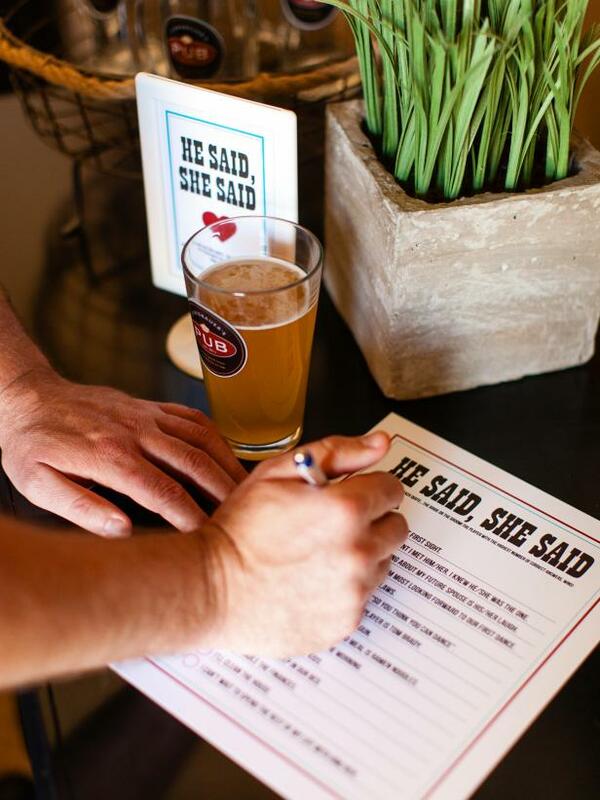 For this fun game, have the bride leave the room and then pass out a game sheet and pen/pencil to each guest. Have them try to answer the questions about the bride to the best of their ability. The guest with the most correct answers, wins. 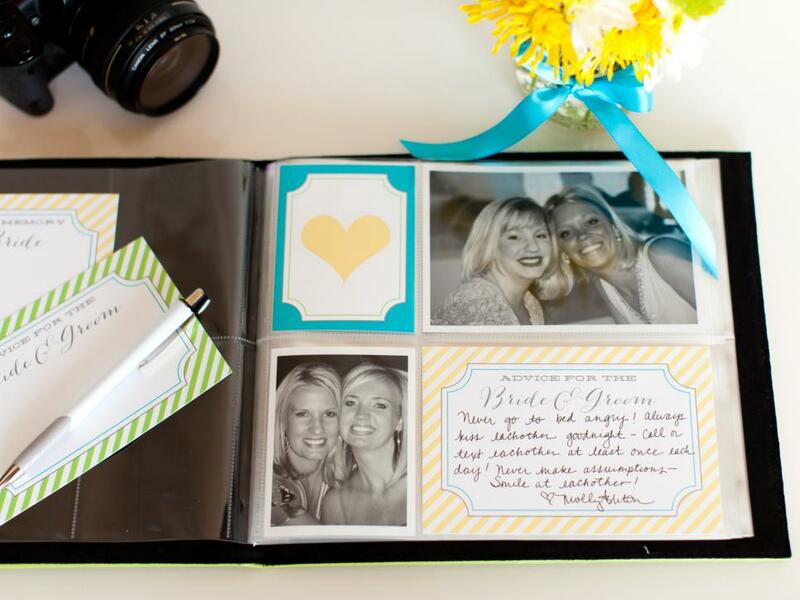 Create a sweet memory book for the bride-to-be. 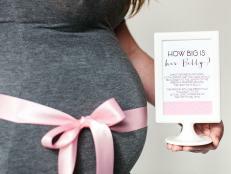 Set up a photo area where guests can have their photo taken with the bride or other guests at the shower. After taking a photo, have the guest fill out a card (download and print before the shower) to insert into the book. 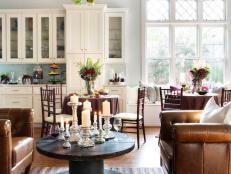 The guests can provide a piece of advice for the bride and groom or share a favorite memory. The shower hostess can have the photos printed and add them to the book after the shower, next to the written message from each guest. This classic guessing game will be fun for your shower guests and someone will walk away with a really sweet prize. 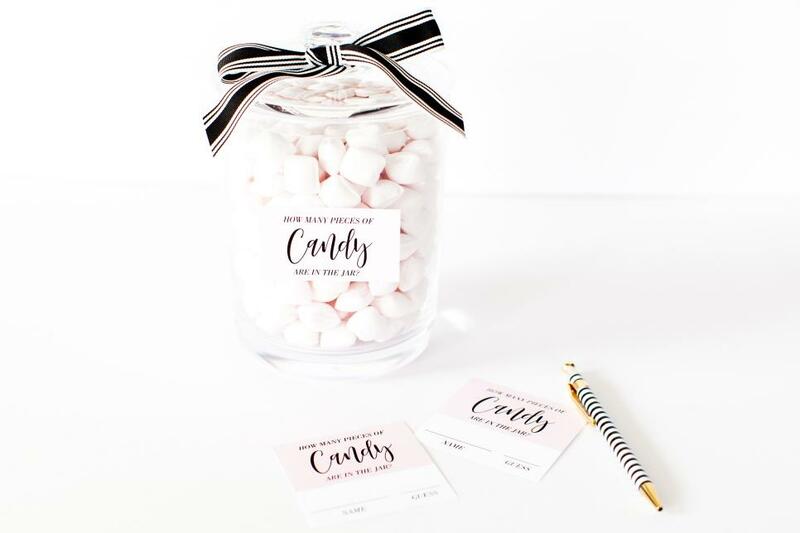 Simply fill a cute jar with pretty candy and then download, print and cut out guessing game cards. Whoever guesses closest to the actual number of candies in the jar, wins. Try a fresh take on a classic game. 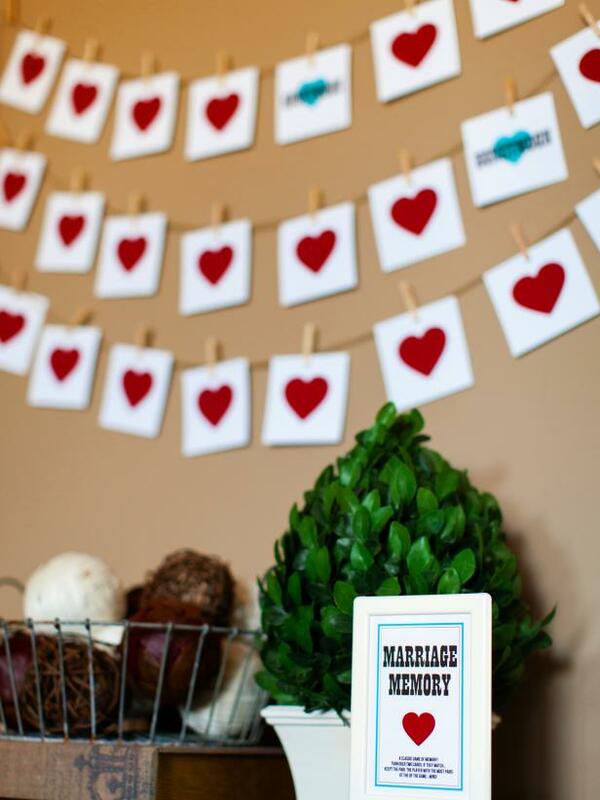 Download and print the memory cards that are all about marriage. For a new twist, hang the cards on twine/string on an empty wall and have guests take turns going up to the wall to try to make a match. If they make a match, they hold on to the pair of cards. The couple with the most cards in the end wins. If you have ever played the clothespin game at a baby shower, the concept of this game will be very familiar. 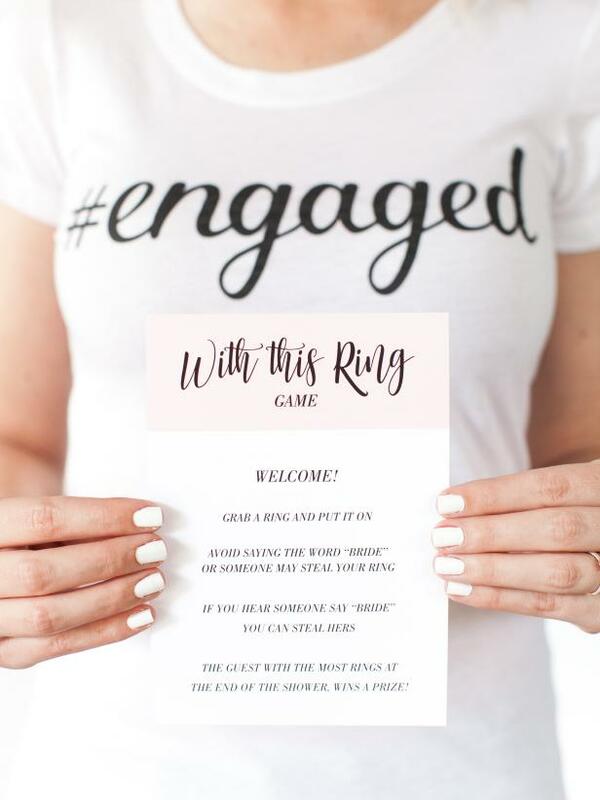 When guests arrive at the shower, have them put on a novelty ring and read the rules. They are not allowed to say the word “bride” or someone may steal their ring(s). If they hear someone say “bride” they can then take her ring(s). The guest with the most rings at the end of the shower, wins a prize.